← Did Jesus Ever Say He Was God? 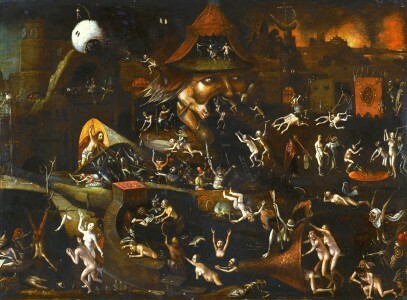 In popular culture, Hell has become place of eternal torment. The Bible, however, does not support this common misconception. In the Bible, Hell is simply the place where the soul is permanently destroyed – a second death, if you will. In other words, once you go to Hell you are dead forever. There will be no resurrection to eternal life. The modern concept of Hell has far more in common with the Greek mythological Tartarus than with anything found in the Old or New Testaments. This entry was posted in Bible and tagged Bible, Christians, Hell, Matthew, Souls. Bookmark the permalink. God’s glory, performing great wonders and miracles. Kurtis Karr's Blog > Christianity > Bible > What Does the Bible Really Say About Hell?